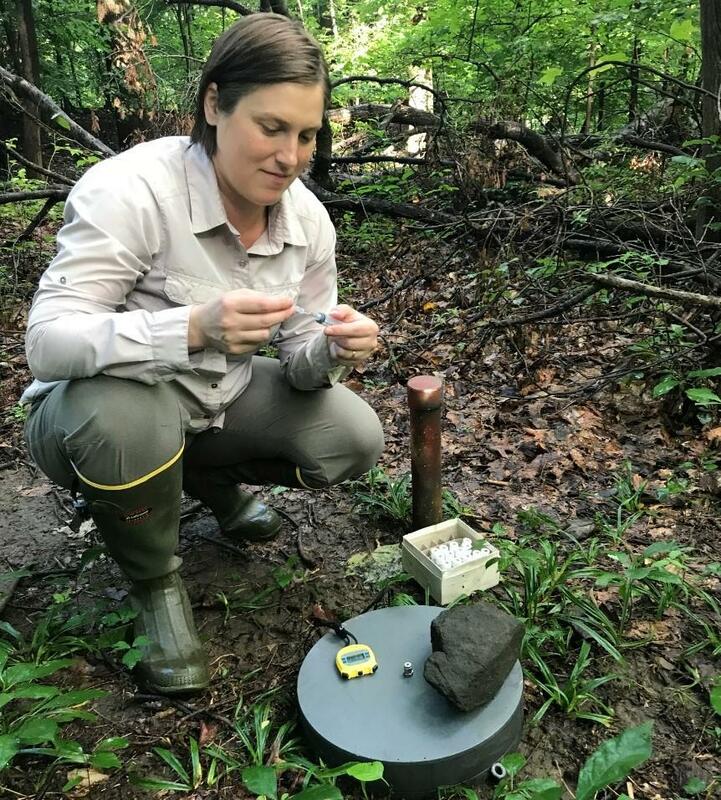 Researcher Laura Templeton at Leakin Park (Baltimore, MD) taking trace gas measurements. In a new study in the Proceedings of the National Academy of Sciences, Groffman and his colleagues found we’re overestimating how much soils help us out with methane. Here’s how it works: There are aerobic bacteria that live in soil. “And they have the ability to eat methane. These bacteria can extract the energy in methane and make a living,” he explains. Groffman found over the past couple of decades, soils are not able to pull methane out of the atmosphere as well as they used to. He says our changing climate means more rain in some parts of the world. “There’s been more rainfall over time at our research sites, and that’s making the soils wetter, and when the soils are wetter, the bacteria are less able to access the methane in the atmosphere,” he says. He says they also looked at more than 300 other studies on methane uptake by soil. "In places around the world where precipitation has gone up over the last 30 years or so, those are places where methane uptake is going down," says Groffman. And this has bigger implications for climate change. Groffman says we rely a lot on nature to help us, but nature has limits. “We’re going to have to work a little harder to control the sources of methane that we have an influence on,” he says. He says that means reducing leaks from natural gas extraction and transport, and being more efficient in how we produce rice, meat and dairy products.